Alternative Armies: VNT38 Big Mouth Beast released! 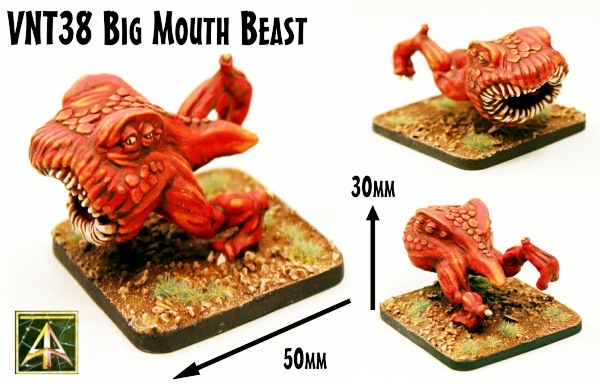 Our first big 28mm scale fantasy release of the year is the Big Mouth Beast which was our festive season pre-order offer. 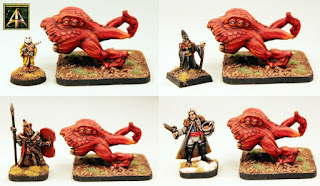 Our thanks for all those who took Alternative Armies up on the offer and we hope you are enjoying your maw monsters. This creature is now on general release. Go HERE or read on for more details. It is little more than a maw upon fast running legs! Rows of serrated teeth within jaws which could eat a man whole! Six eyes look for prey and its legs take it with great speed and nimble grace across any land flat or hazardous. The Big Mouth Beast was sculpted by Kieran Billings and is a creature of nightmare. This multiple scale suitable monster is composed of four high quality resin parts and when assembled (with a small degree of pose choice). 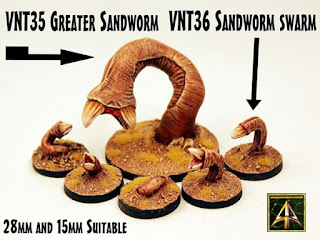 These parts are the body, the lower jaw, the left leg and the right leg and once assembled (which is not difficult as it is a durable wargaming model) the monster is approx 50mm long and 30mm tall with the mouth having internal detailing. You can purchase one or three with a 10% saving by selecting that option on the product page. It is suitable for 15mm as a mighty beast or 28mm as a normal sized creature. It could be inter galactic spawn, it could be a wizard's creation, it might be from the dungeon dimensions or roaming the wastelands. It will fit right in with your campaigns. 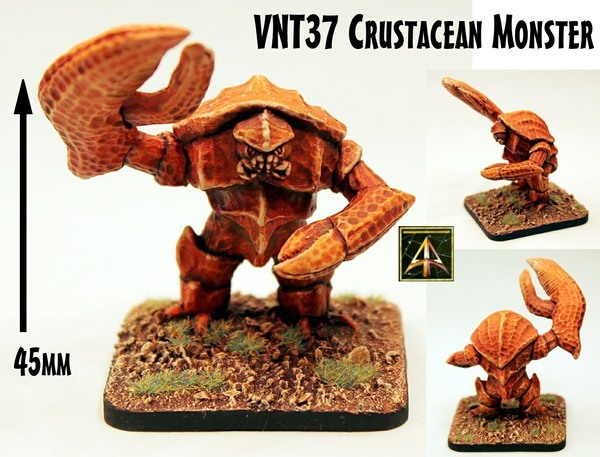 The model is supplied unassembled and unpainted and it shown by us on a 50mm square base. We show other miniatures from our ranges for scale and these are not included. 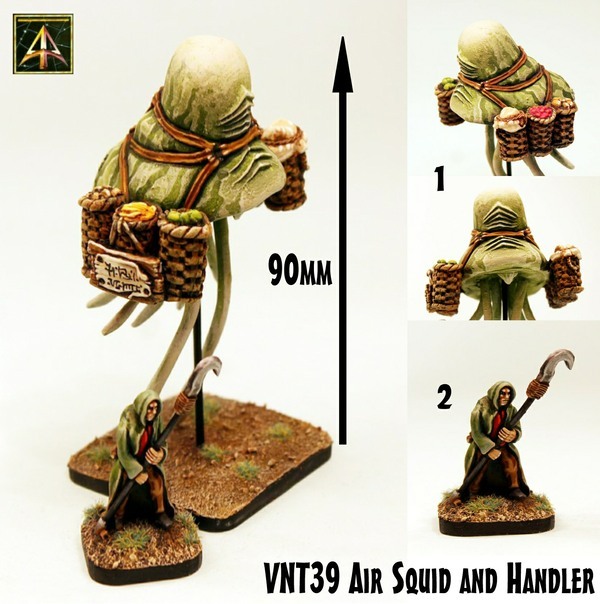 These are a 15mm scale HOF90 Cultist Holy Guard (in yellow and 16mm tall), a 15mm scale MDA47 Illusionist (black robes and 17mm tall), a 28mm scale VNT31-05 Liche Lord (Undead Hero and 30mm tall) and lastly for Flintloque there is 5024 General Saindoux (30mm tall). Go HERE. 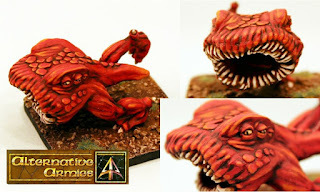 Kieran Billings has sculpted some really nice creatures which are great for wargaming in several scales and settings. Here they are and you can click through to the website if they catch your eye. I love that Air Squid..so weird!